In February 2019, AeroClub Albatross hosted a seminar series called “Soaring with the Champions”. Below is the YouTube link to a talk by Karl Striedieck entitled “Advanced Ridge Soaring Techniques” and a summary of the key takeaways. Ridge running is for adrenaline junkies. 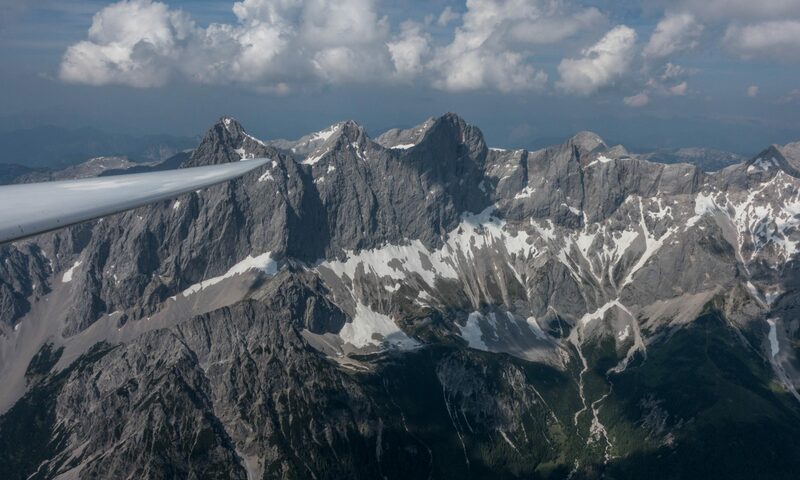 Glider: Glider performance makes big difference when ridge soaring. Ridge running is rough and puts a lot of g-forces on the glider (and pilot). Most indestructible: 18m glider with 15m span and full of water. Caution: big-wing gliders with lot of weight in the fuselage (2 people, engine, and no water in the wings) are much more susceptible to structural damage/failure. But: ballast can freeze; mixing in alcohol can help; if dumping seems slow – don’t dump ballast, land with it. Otherwise you risk that there will be water in one wing and the other wing will be much lighter. Transitions: climb before gaps to arrive with enough altitude to connect with lift at the next ridge. If you’re crossing a ridge – watch for ground features beyond the ridge. If the gap between the ridge and those features is getting wider, you’re making it. If the gap is getting smaller, you might be too low to make the ridge. Birds: don’t fly under hovering red tail hawks. They can’t see you until you’re under them. If they spot prey on the ground, they will dive; this could happen right when you are below them. Black vultures like to fly with gliders. Turkey vultures do not and will scatter away and go to a weaker thermal. Eagles don’t care too much, you can get pretty close to eagles. Golden Eagles in the west can be aggressive to protect their nest and may dive at you.